It seems like an eternity since Victor Salva last stepped foot in the horror genre - aside from writing an episode of horror anthology series, Fear Itself, Salva's last feature was 2003's Jeepers Creepers II. His latest directorial offering, Rosewood Lane, has its moments but for the most part is not the spectacular return many fans will have hoped for. Radio psychologist, Sonny Blake (Rose McGowan), returns to her family home after the suspicious death of her alcoholic father. Upon her return she is warned about the sinister local paperboy, who soon develops a deranged fascination with her. Whilst not a wholly original premise, a sinister threat in a picturesque suburban town is always a decent concept in the horror genre. Salva establishes this well from the onset by planting the seeds of suspicion - he shows us police officers (Ray Wise & Tom Tarantini) investigating the death of Sonny's father in Rosewood Lane, immediately informing us that something is not quite right in the town. This is followed by the spooked older neighbour (Rance Howard) telling Sonny to beware of the creepy paperboy (Daniel Ross Owens). It feels promising reflecting some of the thrills of some of the 90s stalker thrillers like Sleeping With The Enemy or Brooke Shields vehicle, Stalking Laura. Unfortunately, Victor Salva's script does not stick to the premise of a simple stalker-horror and this is perhaps Rosewood Lane's biggest downfall. When the paperboy's stalking becomes more frequent, Salva decides to include some supernatural elements - implying that the character is not completely human. This idea, which is never fully developed, leads to a mass of unanswered questions and does not fit the already established tone of the thriller. Perhaps Rosewood Lane's saving grace is Salva's occasional eye for a good scare. One cannot deny that he is a superior director to writer - managing to evoke a tense atmosphere and the odd unsuspecting jump from the audience. Whether it be Sonny Blake exploring the dark basement of her home or the malevolent paperboy scattering along rooftops at night, there are a fair few shocks. Some of Salva's scare tactics prove more amusing than terrifying, however, one of which being the paperboy rearranging Sonny's porcelain figurines without her knowledge. Utterly chilling. Fortunately, Rose McGowan grounds Rosewood Lane with a solid lead performance. The actress commands the screen as troubled radio psychologist, Sonny, remaining credible and watchable even when Salva's script becomes less so. Supporting player, Ray Wise, also proves a charismatic addition to the cast, bringing life to the traditionally dull role of the skeptical police detective. The same can be said for Rance Howard who brings an air of gravitas to the two-dimensional spooked neighbour role. 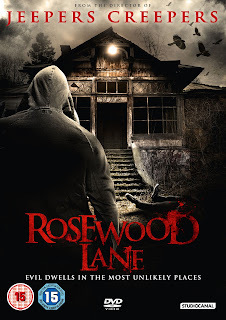 Despite not being Salva's finest moment, Rosewood Lane is a watchable thriller. Occasional well-directed moments of horror and tension keep things relatively interesting but their impact is lessened by a sub-standard, choppy script. 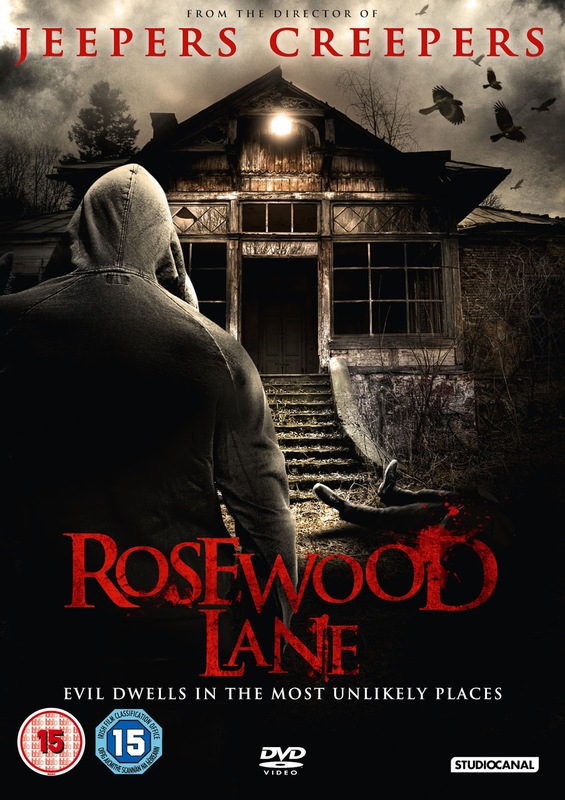 Rosewood Lane is released on the 15th of October. You can purchase it from Amazon UK.